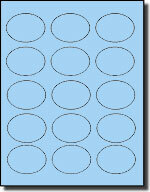 1,500 Oval Pastel Blue Labels, 2.5 x 1.75 inches 15 Labels per Sheet, 100 Sheets Limited Quantity Closeout Sale! 1,500 Oval Pastel Green Labels, 2.5 x 1.75 inches, 15 Labels per Sheet, 100 Sheets Limited Quantity Closeout Sale! 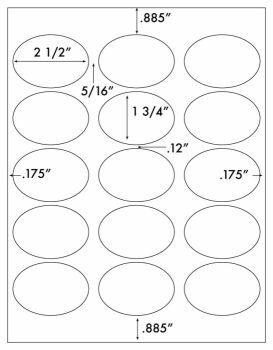 1,500 Oval Pastel Orange Labels, 2.5 x 1.75 inches, 15 Labels per Sheet, 100 Sheets Limited Quantity Closeout Sale!